Happy Friday! 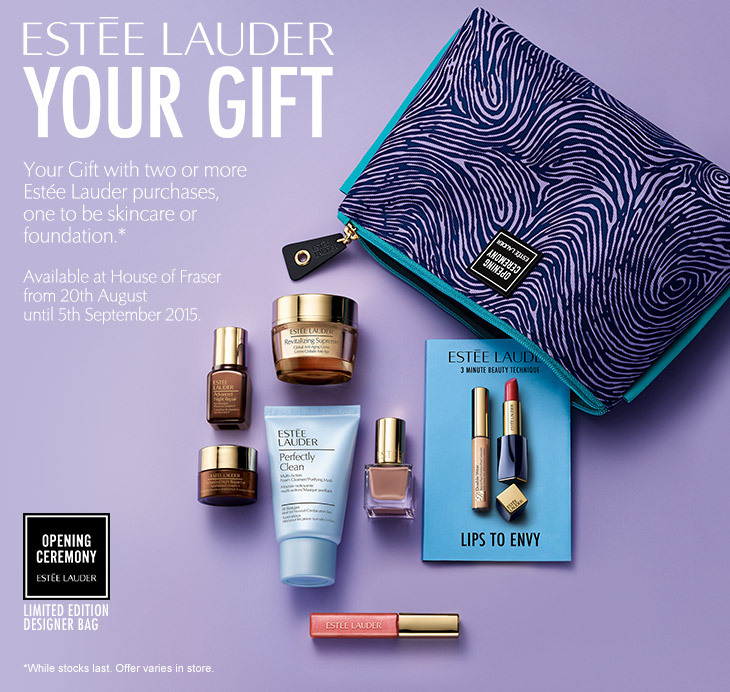 I’ve just put together quick post to let you know about House of Fraser’s latest exclusive Gift With Purchase (GWP) promotion. 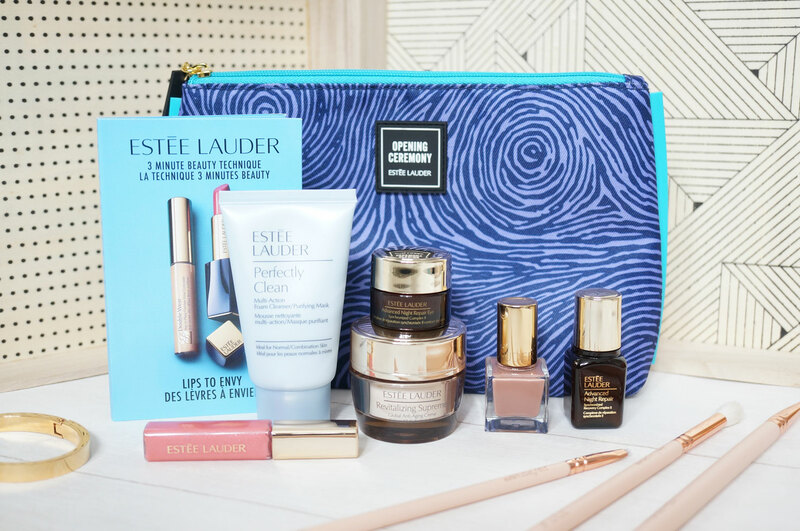 From yesterday, Thursday 20th August until Saturday 5th September you can take home this fantastic luxury Estee Lauder gift set, with any two Estee Lauder purchases from House of Fraser, with one purchase to be skincare or foundation. Advanced Night Repair Serum, 7ml. Advanced Night Repair Eye, 5ml. Revitalizing Supreme Global Anti-Aging Creme, 15ml. Perfectly Clean Milti Action Foam Cleanser, 30ml. Pure Color Gloss in 09 Rock Candy, 6ml. Pure Color Nail Lacquer in G9 So Vain. You can shop House of Fraser’s Estee Lauder products here.